..something a little different over at My besties UK today..we're doing a blog hop sharing our favourite cards. As you know I'm relatively new to My besties so I've not made that many yet but my favourite so far is this one.. The winner will be announced on Monday 7th March. Oh wow Clair, this is so fun, colourful and pretty. Love the texturing on the paper edges. 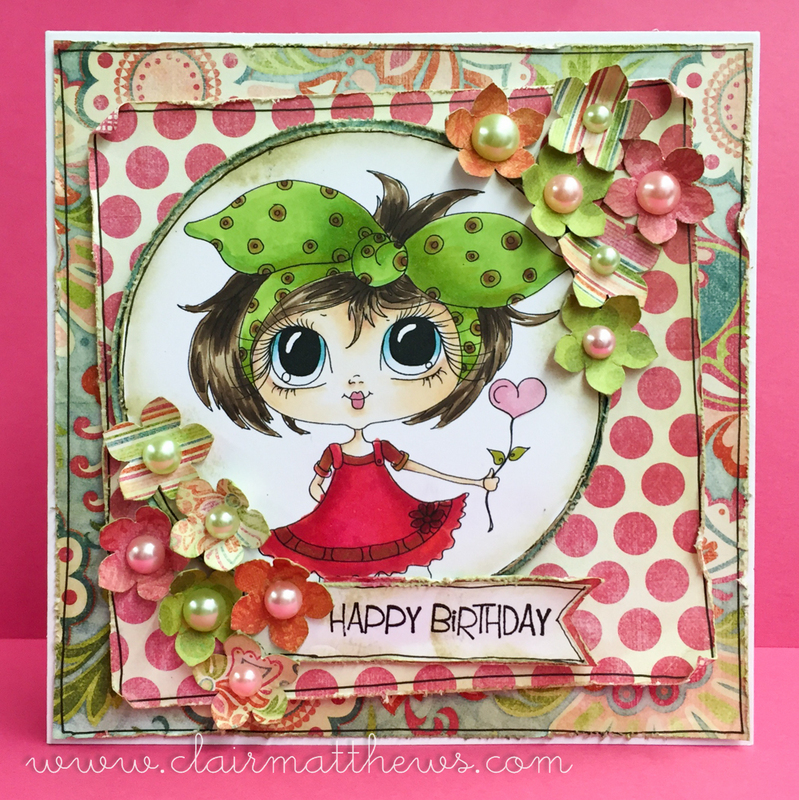 Very cute card, love the image and the colours you have used and the added flowers add to it. Great job! Hi Clair, this is a beautiful card - I can see why it's your favourite...total gorgeousness. A great choice, Clair - I love your design, all those pretty jewel coloured flowers compliment your image perfectly.